Democratic security is an old idea, based on the argument that democracies rarely, if ever, go to war with each other. Democratic practices equally protect states from internal strife. Democratic security is a responsibility which all nations share. 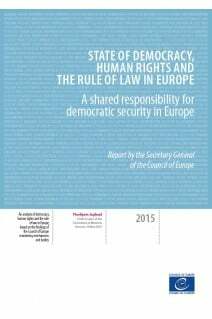 This second annual report on the state of democracy, human rights and the rule of law in Europe assesses the capacities of the member states to guarantee and enhance democratic security within their borders and, collectively, across the continent. 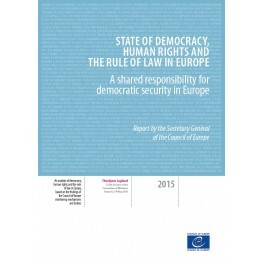 It measures the extent to which the Council of Europe’s 47 member states are able to make the five pillars of democratic security a reality, namely: an efficient and independent judiciary, freedom of expression, freedom of assembly and association, the functioning of democratic institutions, and inclusive society and democratic citizenship. The report also draws on the Council of Europe’s capacity to monitor and evaluate performance in terms of democracy, human rights and rule of law and to identify remedies for shortcomings and provide assistance in their implementation.